Unleash the power of your mind with Psibertech!!! Well this has certainly got my attention, and I quite liked Technology Expanded the companion book, anyone up to sharing a little review of the material in here? 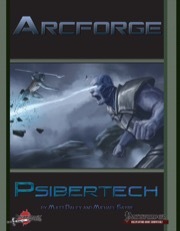 -Psibertech: a new system which lets characters trade feats, talents, or powers for cybernetic implants. Many are tied to psionics in some way, such as a skeletal augment that boosts the effects of psychometabolism powers or a robot arm that merges with your mind blade. -Armor Penetration, an alternative ruleset for firearms and advanced weapons as a replacement for them just hitting touch AC. -Modular Robot variant rules, which offer allows players and GMs to custom-build robotic constructs for a wide variety of purposes. 19 sample robots are provided. I do wish Necrotic Scourge Augmentation had been written with the intent to include an option for those playing an undead character (thanks to third party material). But oh well. Kudos for the aegis inspired power armor rules. Only wish the rules had been in one book, because Arcforge really made me want an akashic iron man type archetype for the Helmsman. 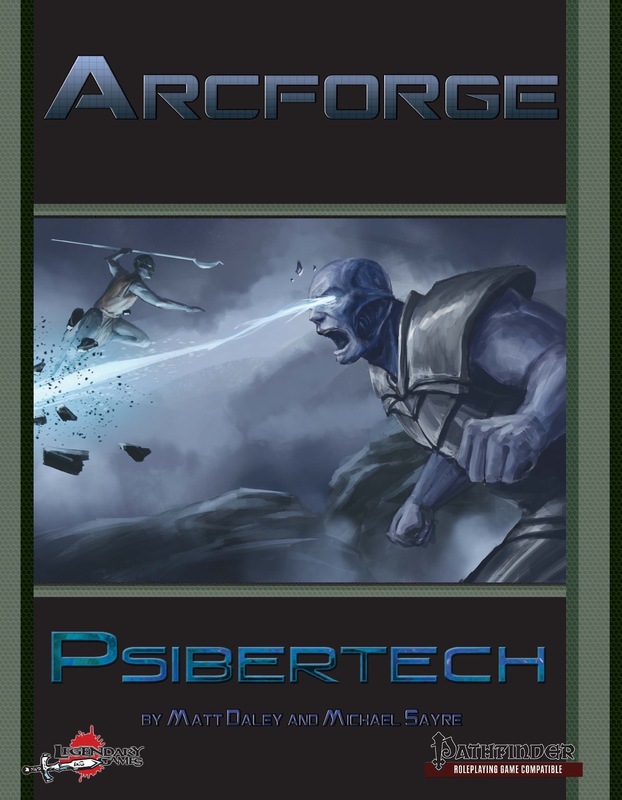 Psibertech and Technology Expanded were originally a single book, but we split it into two volumes. If you want to make an Akashic Iron Man, there are ways to do it with content in either book. Not familiar with any playable third-party undead races. Which books are those from? Well the In the Company of...series has both a Wight and a Vampire book (so as a playable race with a monster class), and Necromancers of the Northwest have a playable vampires (revenants) in their Liber Vampyr series, available as a template and as a class feature since the vampire classes gain the revenant template as a first level bonus. I'm sure there are others, but that's what I can recall offhand. And yes, nothing stops a Helmsman (or any other class) from buying power armor but the class features would still be about controlling and enhancing mecha instead of enhancement of worn power armor. Perhaps something something like that will make the cut if you decide to make this a trilogy. Psibertech is already here, and now Arcforge: Star*Path is coming up next on Friday! Except on it's already here at the Legendary Games webstore!